Zombies and Magic and Line-dancing ..Oh My!! Six friends take an ill faited road trip to Galveston, Texas in an RV for the wedding of their friend, Kelly (Portia de Rossi). The driver, Johnny (Oz Perkins), gets lost and they arrive in the small town of Lovelock and his friends Sara (Ever Carradine), Kate (Bianca Lawson), Melody (Gina Philips), Christian (Jeremy Sisto), and David (Erik Palladino), decide to spend the night in a bed and breakfast owned by the creepy Mr. Robert Wise (David Carradine). David has an argument with the chef of the inn, Henri (Diedrich Bader), and when the chef is found dead and Mr. Wise has a heart attack in the middle of the night, the local Sheriff (Jeffrey Dean Morgan) suspects the group of travelers have a hand in it . He instructs his Deputy, Enos (Mark Kelly), to confiscate the keys to their RV and tells them that they have to stay in town for the duration of the investigation. The Sheriff then arrests a mysterious drifter (Brent David Fraser) [Gotta love those mysterious drifter characters…] who soon becomes his prime suspect in the murder. 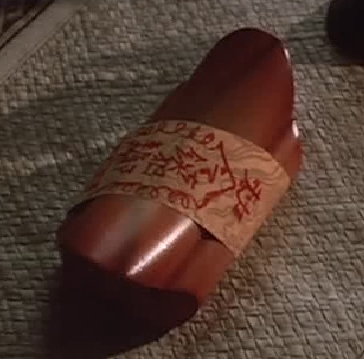 When the clumsy Johnny accidentally breaks an ancient exotic wooden box belonging to Mr. Wise, he releases the terrible, monstrous “Kuman Thong” (A take on the Thai Guman Thong or Spirit Child) which possesses all the local town folk, transforming them into zombies. Ultimately, the mysterious drifter becomes the hero. He is a long time student of powers from “the other side”, and is the only one who knows how to fight and kill the evil spirit. He sets about doing this with the help of Sara and Melody. Only they survive, leaving the bed and breakfast in ruins and what’s left of the town behind. In so many ways, this film is like most other zombie films. Mysterious things happen and of course nobody involved wants to believe in the existence of the zombies or of the “Kuman Thong”. Unlike most other zombie films though, the only initially likable character is to blame for all the misfortune that befalls the cast of characters. If that’s not enough, this movie unlike most zombie movies boasts redneck zombies. 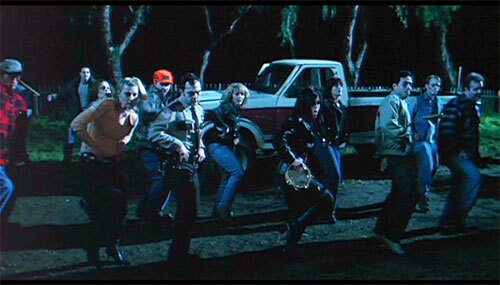 What’s more, these Appalachian-like undead dance. While it’s just plain sad, you can’t help but watch it and laugh. It brings to mind Michael Jackson’s music video for Thriller. 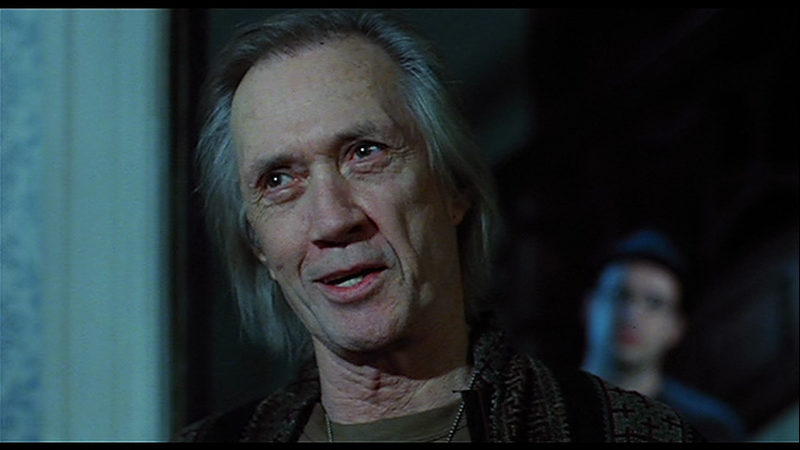 As far as acting goes, the only real actor in the movie seems to be Mr. Carradine, though he has a limited appearance in the film. After watching this movie I was left solely with George Takei’s famous catchphrase. “Oh My!” Anyway, if you like movies that are loosely glued together with zombies, David Carradine, line dancing, rednecks, and seemingly random introductions to quasi Asian paranormal beliefs, or movies that are so bad they’re possibly good then take a look at this movie and make your own opinion.